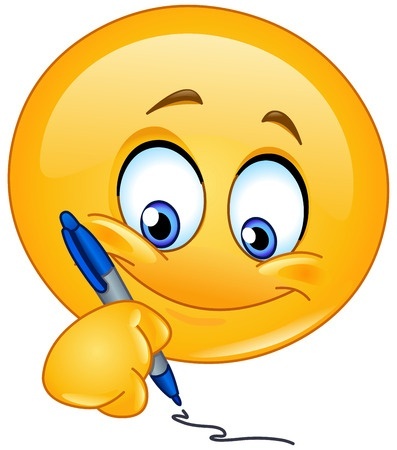 This smiley has picked up a pen to write a note. 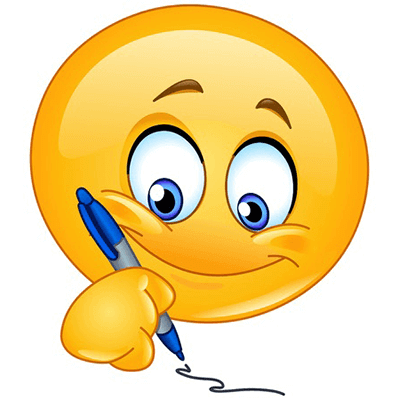 When you want to send someone a reminder on Facebook or just jot them something that they need to know, this is a great emoticon to send along with your text. 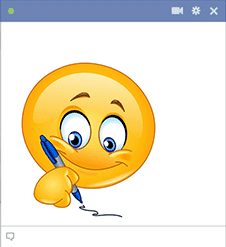 We hope you'll scroll through all of our smileys to find others that will enhance your Facebook communication.